The Turkish prime minister on Friday blasted the main opposition party’s appeal to suspend the official referendum results, saying “nobody has right to change the decision of the people”. 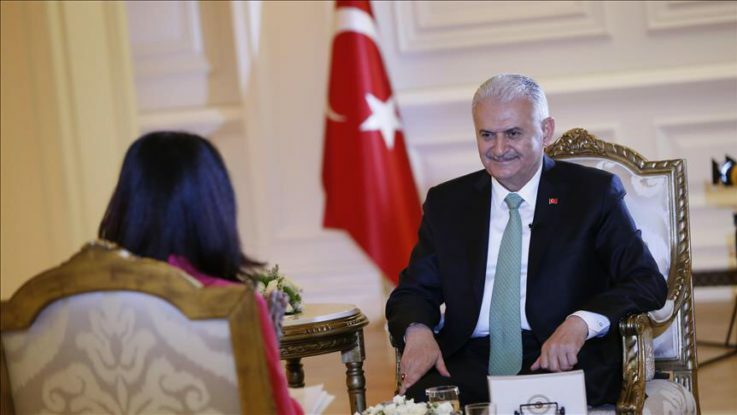 In an exclusive interview with BBC’s HARDtalk program, Binali Yildirim said: “While the people have accepted a certain thing, the main opposition party does not accept it. His remarks came after the Republican People’s Party (CHP) approached the Council of State, urging the court to suspend the official referendum results. On Thursday, the Supreme Election Board (YSK) released a decision explaining the reason for rejecting petitions submitted by three political parties to cancel Turkey’s April 16 constitutional referendum. The board in a statement defended its decision to accept unstamped ballot papers before the boxes were closed for vote counting, saying it had been objective, and in line with the principle of equality and impartiality. “Neither the European Court of Human Rights, nor the Constitutional Court nor any other can change this decision of the people. The decision of the millions can only be changed by the people again. I think these efforts are all in vain,” Yildirim said. “My recommendation is that the main opposition party should accept the national will and work harder for the next elections. So they can win people’s favor,” he added. Binali Yildirim described the dictatorship criticisms as quite “brutal”. “What is a dictatorship? Would you hold elections, when there is a dictatorship? Would you have political parties? Would people vote in a dictatorship? I really cannot agree with these claims,” he said.